One of my winter projects on the M3 is brake ducting. I made some progress on that recently. 3D printed brake duct I designed. They are not cleaned up at all, because I didn't know if they'll be final. 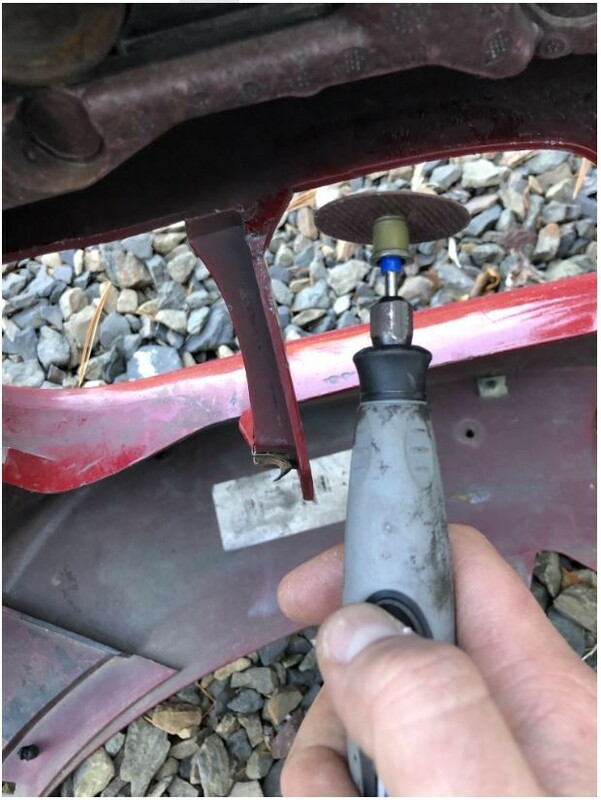 They attach to the factory mount points, and run the air through the center of the factory brake duct/underbody mount bracket, so there won't be any hard bends in the 3" soft line. They do fit with the fog light mount bracket attached.... but it's ugly. Please excuse the Tesla like panel gaps in the bumper. Nothing was clipped in place because it was just a test fit-- still had to install the passenger side. On the rotor side, I'm planning to use the Hard Motorsports 355mm BBK rotor duct, as it's the only solution I know of that's designed to work with 355mm rotors. It also vents into the center of the rotor, instead of the face, which is the correct way to do it (I was talking to one of Brembo's engineers, and his take was the ducting onto the rotor face on one side, but not the other, was worse than no ducting at all). 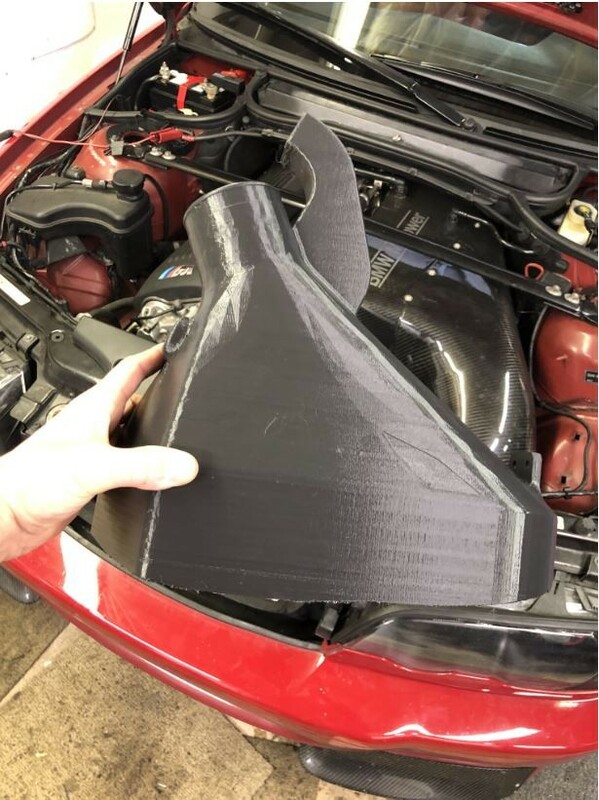 I did make an alternate version of the duct that include an intake air feed for the CSL box, similar in concept to the Evanturi bumper scoop. I'm going to monitor my IATs and install it if they're elevated vs ambient (they weren't before when above ~10mph). If they're not, I'd rather have equal brake ducting for the driver and passenger side. I'm pretty enthused with the "look" of it, installed. That's pretty rare for me-- I almost always hate any change initially. 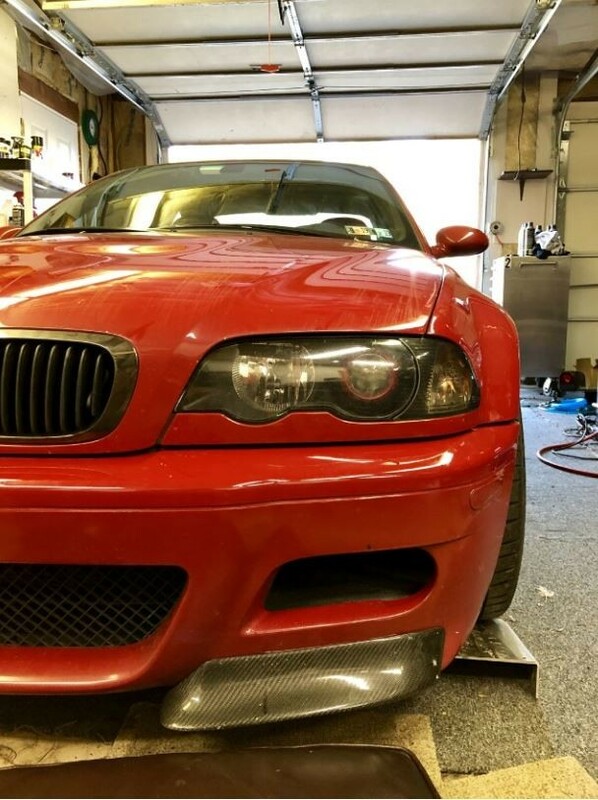 But, I think they look "stock" if you didn't know the e46 m3 came with fogs from the factory. 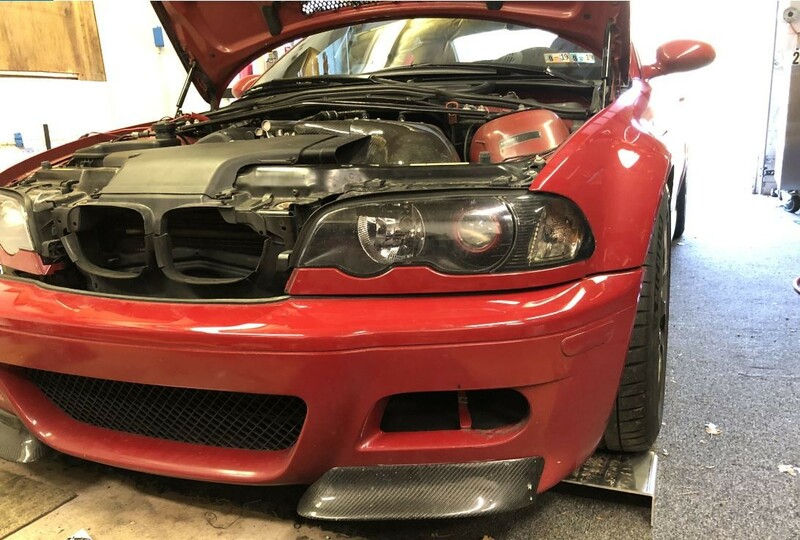 That's my criteria for any mods that change the look of the car-- if someone who is not familar with the e46 m3 can pick out any given part as aftermarket, I don't want it on my car. Last edited by Obioban; Thu, Dec-27-2018 at 01:51:19 PM. If you want to have even more DIY fun you can use it as mould for carbon fiber, looks great really want to get a 3D printer for similar ideas. How necessary is extra brake cooling for you, Ian? Have you noticed your brakes overheating regularly on the tracking? Asking because the trade-off here is increased drag and wondering what thought process you went through in determining that increased ventilation towards the brakes was worth that trade-off. Those look really good! Is the smaller tube for the intake or alternator? I wonder if directing cooling toward the alternator and crank damper is worthwhile? I think for casual track goers the drag penalty is worth the cost savings. My pads last twice as long with ducts. I have never overheated my brakes on track (brembo GT BBK with dedicated track pads). That said, cooler brakes have a longer service life-- That's 100% my goal here. I don't think there's a ton more drag. There are brake ducts, stock-- they just duct into the wheel well. This is a ~30% larger intake duct (larger by the size of the fog light) than stock, but the real benefit is where I'm putting the air (into rotor, instead of just into the wheel well)-- and without a wind tunnel, I don't know if that increases or decreases drag (or is indifferent). 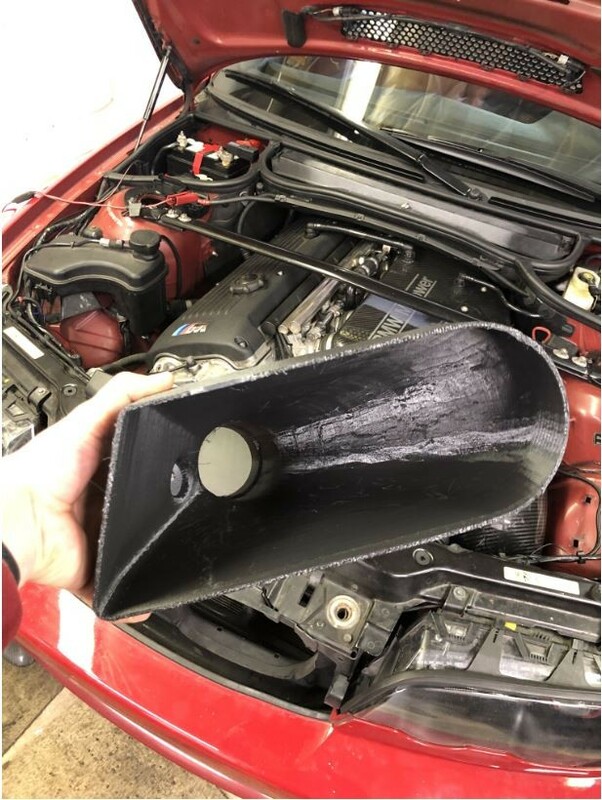 I was considering, for a while, making half of the duct go to an air curtain type thing in the fender liner, as BMW does in their new cars. But, without a wind tunnel to develop it, I don't think I could definitively make that functional. But, yeah-- my goal here is to bring the price of consumables down. The smaller tube isn't actually a tube-- it's a mounting arm that attaches to the stock brake duct mount point. The non M alternators have ducting built into them. 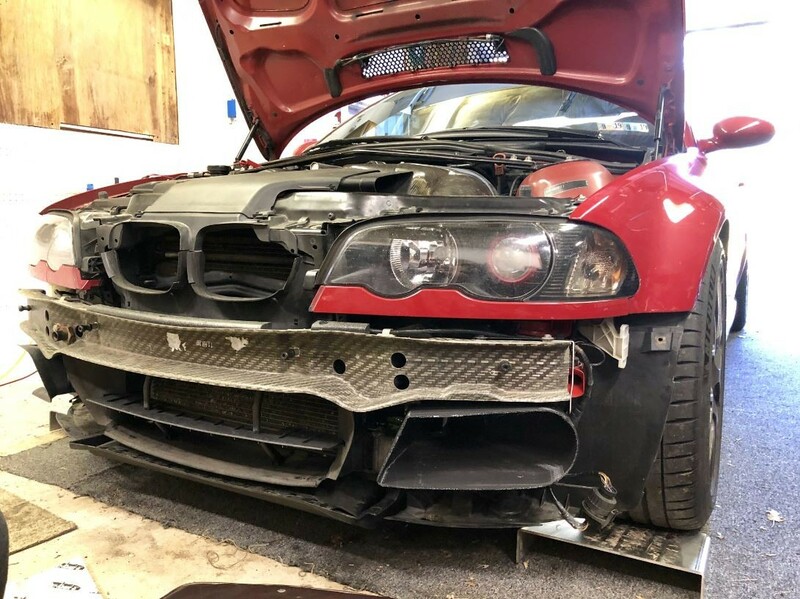 If you really want to cool your alternator, it would probably be best to start with one of them and see if you can adapt that to the M3 alternator. That's awesome! I've been working on one, too - I like the mounting tab idea, though. I also struggled with a flat base for print quality vs curving it to match the bumper like you did. What are you printing with? I've been working on a prototype so I can make the final version in ABS once I'm happy with it. How are you planning to make it out of ABS? All times are GMT. The time now is 10:51:19 PM.